It’s never too late to create the beautiful smile of your dreams. These days, we are fortunate to have more discreet orthodontic options for your journey to an improved smile. While the various types of orthodontic appliances we use to move teeth into proper alignment vary, they all generally work to gently yet constantly move teeth into their optimal positions. From traditional metal braces, to clear braces, to Invisalign, we’ve got you covered. Dr. Moore will be able to tell you which option suits your individual situation best. With traditional metal braces, we bond small metal brackets to the front of the teeth, and then run a thin metal wire through the brackets. This wire will slowly and gently align the teeth over time. Clear braces are a more discreet option available for adults. Clear brackets are made of ceramic, plastic, or a combination of both. There is still a metal wire running through the brackets, but clear braces are much less visible than metal braces. Invisalign works through a series of thin plastic shells called aligners. These fit over the top of your teeth and each aligner is custom designed to guide your teeth into an optimal spot. The advantage of Invisalign is that it is completely transparent and far less noticeable than other options. Click here (insert link to our Invisalign page) to learn about Invisalign, which can be an alternative option to braces for adults and teens. During treatment, adults need to be sure to maintain healthy gums and teeth by practicing good oral hygiene and having regular professional dental cleanings. After we remove your braces (and celebrate! ), it will be crucial to maintain the success of your orthodontic treatment by wearing retainers. Retainers hold the teeth in place and allow new supporting bone to develop around the new position we have created for your teeth. If retainers aren’t worn, teeth are likely to gradually move back to their original positions. 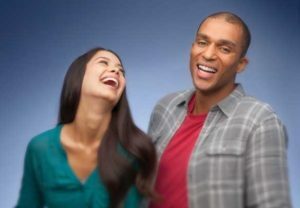 Click here (*insert lint to our Wearing Retainers page) for information about wearing retainers. We promise it’s not that bad! What are you waiting for? Click here to start building the smile you never knew you always wanted!